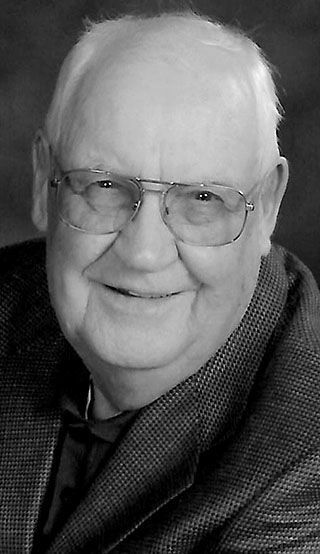 Martin “Sonny” O. Knutson, age 92, of Eau Claire, died on Thursday, April 4, 2019 at Mayo Clinic Health System Eau Claire. Sonny was born on June 24, 1926 to the late Martin and Olga (Garlie) Knutson in Eau Claire. Farming was a large part of his life and living 92 years, Sonny saw a lot of changes. When he was young, he did some farm work with horses, but was already using the tractor by the time he was 9 years old. His dad made sure that Sonny knew: Do NOT put the clutch in going downhill. He enjoyed thrashing and silo filling. For many years, he showed hogs at the fair, receiving all kinds of blue ribbons. One year in particular, the judge told him he should have had his boar at the State Fair, but it was that same weekend so there wasn’t a chance for him to show it there. Sonny was a 4H leader for nearly ten years. The first time Sonny saw Joann, he told his friend “I’m going to take her home with me.” Almost a year later to the date, November 25, 1950, he did just that when they were married at Hope Lutheran Church in Eau Claire. They welcomed six children to their marriage — all of them loved and all of them a welcome addition to the family. Throughout his life, Sonny was very active in church. In his youth, it was Luther League, serving as president and treasurer. As an adult he served on church councils, the youth committee and then on the stewardship committee. He enjoyed greeting others as an usher and sang in the choir for many years. Sonny was active with Sons of Norway for over 20 years (since 1993), and was a member of the Norske Sanger Kor. He was able to travel to Norway twice, meeting relatives who lived in Soknedal. He and Joann farmed for many years before renting the land out. He worked in construction before working with JH Larson Electrical for 21 1/2 years. Sonny also served as vice president of Springbrook Cemetery Association for several years. Sonny enjoyed being out in the woods, cutting a LOT of firewood over the years. He also enjoyed fishing and played some golf in his later years. He is survived by his loving wife of 68 years, Joann; children, Philip (Linn) of Chippewa Falls, David (Mae Joy), Ronald (Shelly) both of Eau Claire, Ruth (Steve) Alf of Menomonie, Barb (Chris) Strand of Annandale, MN, and Mark (Vicki) of Eau Claire; grandchildren, Chad (Brad), Joe (Jeni), Sandra (Mark), Marty, Bethany (Eric), Mike (Jana), Karl, Misty (Matt), Emily, Jeremy (Alex), Sam, Margaret, Donald, Katherine, Peter, Matthew, and Timothy; 12 great grandchildren; sister, Lenora (Orv) Wollum; many nieces, nephews, other family members and friends. Sonny was preceded in death by his parents; 2 infant brothers; sisters, Margaret, Bernice, Lucille, and Louise. Due to weather, Funeral Service will be held noon on Friday, April 12, 2019 at Shepherd of the Hill Lutheran Church in Elk Mound (207 University Street), with Pastor Mary Eide officiating. Visitation on Thursday has been cancelled. Visitation on Friday 10 a.m. to service at church. Interment will be in Springbrook Cemetery in the Town of Springbrook. Evergreen Funeral Home is serving the family. In lieu of flowers, the family would prefer donations made to either: Shepherd of the Hill Lutheran Church (http://sothem.org/), Feed My People (https://www.fmpfoodbank.org/) or Sons of Norway (https://www.sofn.com/).